Displaying 5 posts matching `integrus`. Show All Posts. The year has certainly got off to a busy start at Clarus. In the second week of January we provided multiple simultaneous interpretation systems for Allergan's 2014 EAME Sales Conference in Tenerife. 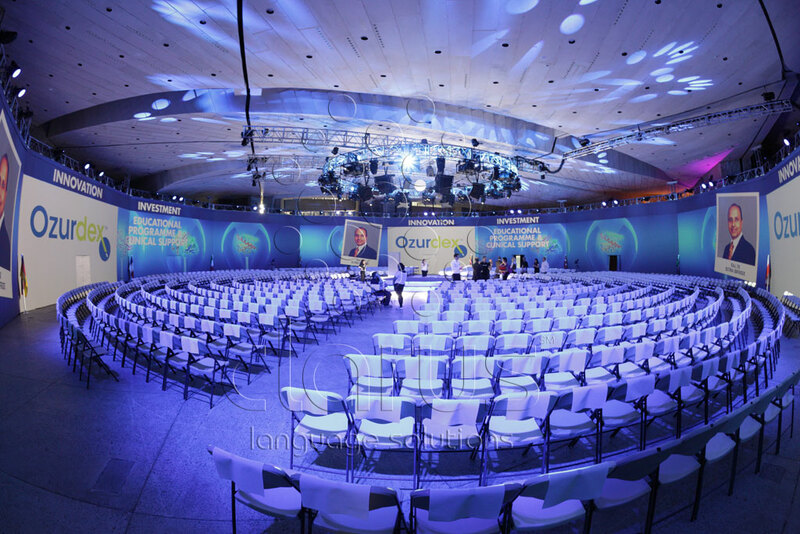 The general sessions, held at the Magma Congress Center on the Costa Adeje, were conducted in the round for an audience of 1400, in 8 languages. The entire rear wall of the room served as a 360 degree floor to ceiling projection surface and sight lines had to be preserved throughout the space. 8 Bosch Integrus high power infra-red emitter panels were flown from the circular truss in the center of the room, providing uninterrupted interpretation coverage of the entire venue. 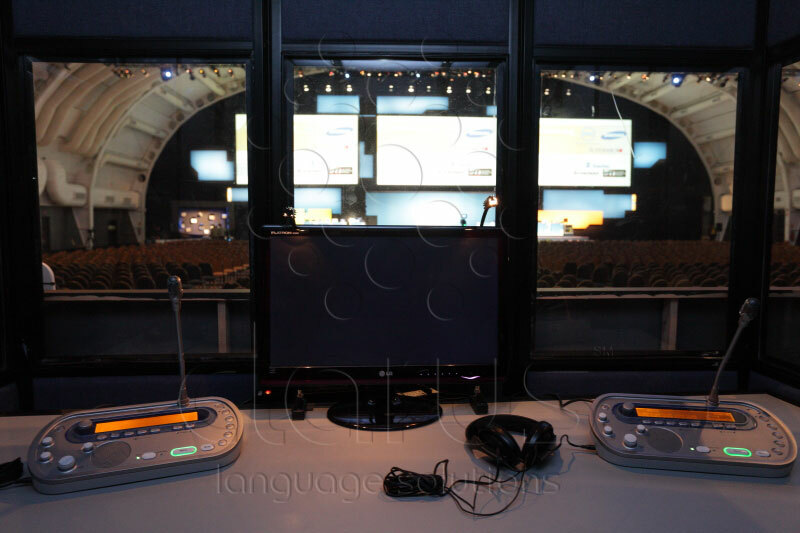 A multiple camera feed, with embedded keynote presentations, was fed to the interpreters in the booths, which needed to be located outside of the auditorium. Breakouts were held at 6 different hotels around the island. With this event successfully completed, the following week we provided another 8 booth system for Alcatel/Lucent's conference in the Marquee Ballroom at the MGM Grand in Las Vegas. This system also comprised of Bosch Next Generation hardware, with a 700 receiver Integrus infra-red system. The audience area in this case was covered by 12 infra-red emitters, some flown and some ground supported. 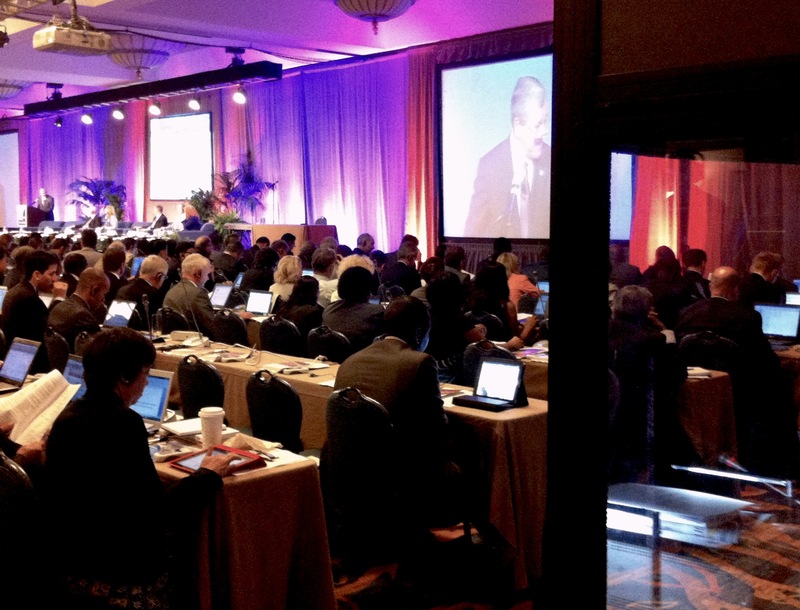 The International Standards Organization is holding its 38th General Assembly right now in San Diego, hosting 150 international delegations and over 500 participants and attendees. Clarus is there with a Bosch DCN/Integrus infrared interpreting system and Bosch DCN discussion systems across five different meetings throughout the week. The plenary session is set up with 150 push-to-talk microphones, each with dual channel selectors. which allow two people per microphone to listen to their language, without the need for a separate receiver. The rest of the attendees listen in through Bosch Integrus infrared receivers. Its crystal-clear digital sound is fitting for important meetings like this. Clarus is the nationwide leader in Bosch DCN equipment, with the largest inventory of push-to-talk microphones and receivers in the US. Recently, Bosch profiled our work on their website (read more). Valencia, CA - "There are a lot of operators out there who happen to have a bit of conferencing equipment and think that they can bluff their way through a big job. It's up to us to differentiate ourselves from them in the eyes of potential customers, and to do so we take every opportunity to associate ourselves with Bosch products and technology." With that, VP of Technology Matthew Field sums up the key role Bosch IR conferencing technology plays in the success of Clarus Language Solutions in Valencia, California. Clarus boasts the largest inventory of Bosch conferencing and interpretation systems in the United States, including over a thousand 32-channel Integrus infra-red (IR) receivers, nearly 200 Digital Conference Network (DCN) discussion microphone systems, and over 70 DCN-IDESK interpreter consoles. Rather than simply renting equipment, the company is a full-service provider of expert interpretation services and systems, including technicians and interpreters. Relying on Bosch systems every day for high-profile events, Field and his colleagues have a first-hand understanding of Bosch's crucial advantages. For Field, the benefits of Bosch begin with advanced IR technology, which involves transmission by modulated infra-red radiation. "IR is already the standard in Europe," he says, "and we believe that it's the future of this industry here as well. To start with, there is the audio quality of IR compared to FM. In the events we do, 90 or 95 percent of the people are relying on the interpretation to actually understand what's going on. So the interpretation is really as important as the PA. It makes no sense to spend a fortune on top-quality equipment for the best possible sound and then subject the signal to an Eighties-vintage interpretation system. With Bosch IR equipment, the technology exists today to provide a full CD-quality feed from the interpreter all the way to every attendee in the room." Field cites the quality factor as a key reason that Clarus won the contract to handle interpretation at the recent Intel International Developer Forum in Sao Paolo Brazil. The event involved twelve Integrus IR radiators (emitter panels) and 1000 IR receivers to provide dual-language coverage for a keynote session and three breakout rooms. "Intel knows technology," he says, "and they specifically requested IR because they wanted the higher quality. If you compare with FM systems, IR is like listening to digital radio instead of AM radio. And once people experience that difference, it's very hard to go back to listening to something else." Going hand-in-hand with Bosch's IR audio quality is the absence of the interference that can plague RF and older IR systems. Unwelcome in any setting, interference can be a show-stopper in certain types of structures. A case in point is a recent high-level sales awards dinner for Avon Products Inc. aboard the Sea Dream II yacht in St Thomas, US Virgin Islands, for which Clarus provided six-language interpretation using an all-Bosch system. "A yacht is a big grounded metal object," Field says, "and we were split between decks, so there was no way that FM would have worked at all." In the Bosch system, IR's inherent immunity to interference is bolstered by the power of the Integrus radiators, which enables them to work in lighting conditions that often create problems for other infrared systems. "Alternative infra-red providers use older designs that don't work well in either daylight or artificial lighting," Field says. "And they don't have the power of the Bosch Integrus system, which will cover up to 20,000 square feet with a single emitter. By allowing us to handle really large gatherings with relatively few emitters, Integrus simplifies system design and setup and also reduces overall costs. 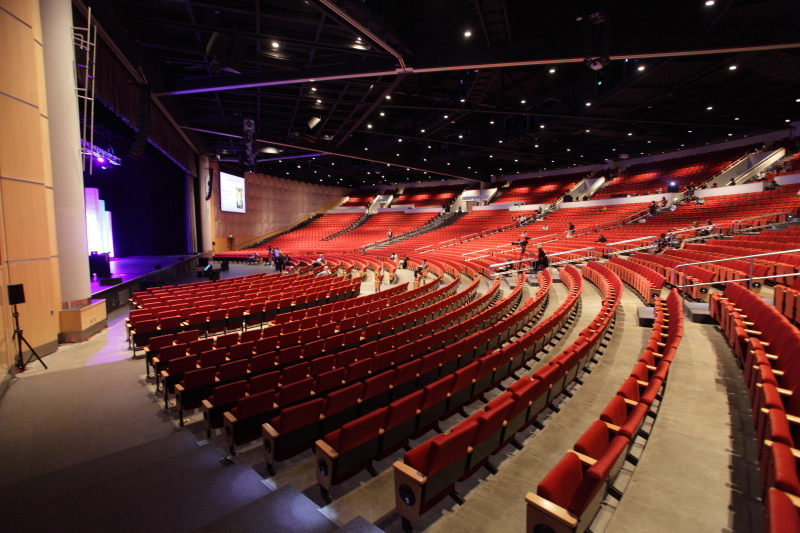 For example, at the recent Denver meeting of the American Society for Training and Development (ASTD), we covered an entire arena, with 5000 attendees, using only nine discreetly placed emitter panels. That's something we would not have been able to pull off with any other system." The Integrus system also supports up to 32 simultaneous languages in full relay, which is a must for many international gatherings. In contrast, RF systems offer only eight channels in the commonly used 72-76 MHz band. And because those are officially reserved by the FCC for assisted listening devices, Field says, "you don't have exclusive control over those frequencies; you could show up and find that several of those frequencies are already in use by the venue." "A couple of our largest clients regularly do events with many languages, sometimes upwards of 20," Field adds, "and that completely rules out most other systems. For example, we recently handled a couple of events for Herbalife, one in Los Angeles for 5,000 attendees with 120 discussion mics and fully encapsulated booths for 18 languages, and another in Singapore for 25,000 people with booths for 12 languages." The Herbalife events also both underscored another important capability of the Bosch systems, which is easy integration of fiber-optic linking to allow transmission of signal over great distances without degradation. "In Singapore, the interpreters were located some 4,000 feet from the venue," says Clarus President R.J. Steventon. "With Bosch's multi-mode fiber adapters, we can centralize the location of interpretation booths that are servicing multiple areas. That's something that we do a lot of, and that isn't possible with any other system I'm aware of. It keeps interpreters from having to, for example, run between multiple breakout rooms. And because we don't need to install multiple booth setups in different locations, we can pass cost savings on to our clients." 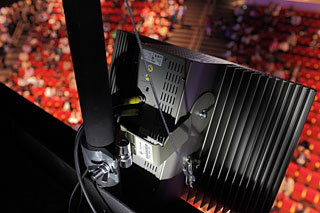 Another advantage of Bosch IR systems, particularly at events that aren't open to the public, is security. "Many companies, organizations, and governments take a lot of care to keep their meeting spaces physically secure," Steventon says, "but they don't fully appreciate that radio-based interpretation technology can disseminate their confidential information and conversations out into the wider world, where they can be readily intercepted. With IR, language distribution doesn't travel beyond the doors of the meeting room." The Integrus system - transmitter, radiators, and receiver - are designed to integrate seamlessly with Bosch DCN systems via an interface module on the Integrus transmitter. 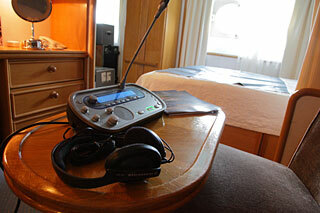 For meeting delegates, the connected DCN discussion units offer selectable language listening. "The interpreting system integrates so well with the discussion system that it gives our clients options they've never considered before," Steventon says. "And with language channel selectors built into the discussion system you eliminate a lot of external switching hardware, so the meeting room becomes much more elegant and functional than with a traditional setup." For interpreters, the DCN IDESK interpreter consoles match the capacity of Integrus itself, providing the original floor language plus up to 31 interpretation channels, all with an audio bandwidth of 20 kHz. "We believe in employing the highest level of interpreters," Steventon says, "and the best interpreters demand and deserve the best equipment available so that they can do their work without fuss or confusion. Interpreters love the IDESK units because of features like the audio controls, the auto-relay function, and the easy-to-read display. When an interpreter uses an IDESK for the first time, they always come up and say how much they loved the equipment, how great it sounded, and how easy it was to use." The ability of interpreters to work comfortably and efficiently with Bosch equipment contributes to an overall smooth event, which in turn contributes to keeping customers happy and Clarus thriving. "We've made a very serious commitment to the Bosch platform," Steventon says. 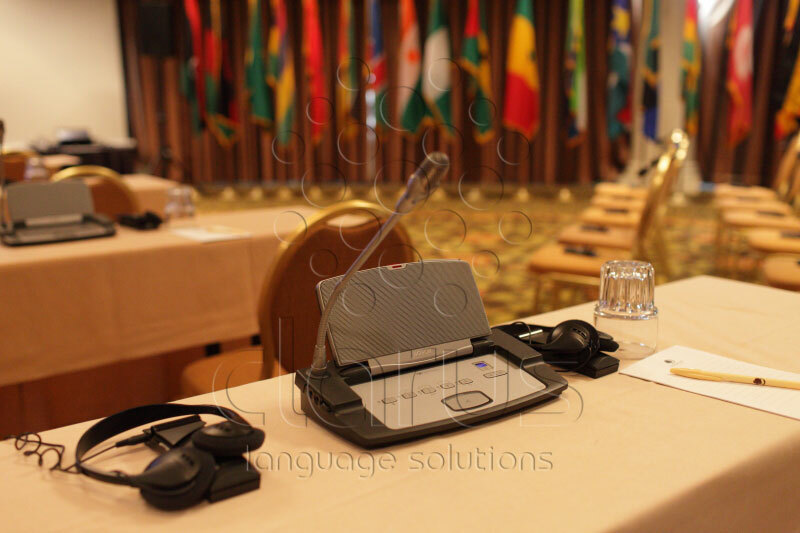 "It's the de facto standard in Europe, and meets the equipment standards defined by the International Association of Conference Interpreters (AIIC). It has become a common fixture in high-profile and sensitive meetings in the US, especially where privacy is paramount, and we think it should become the standard throughout our industry worldwide, because we've seen just how pleased our clients are when we use it." Clarus is proud to be providing interpretation and discussion systems for the 2 week long Senior Leaders Seminar program organized by the Defense Security Cooperation Agency in Washington, D.C. this month. A total of 120 DCN Next Generation Discussion Units with channel selectors are being utilized to facilitate communication between attendees, primarily from Africa, in a plenary session chamber and 5 breakout discussion rooms. In addition, Integrus Infrared receivers were specified to distribute interpretation amongst observers and other non-participating members of the audience. 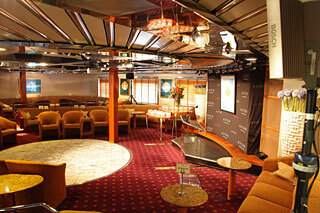 Clarus also provided the audio system and on site technicians to provide first class support. Clarus technicians and equipment recently returned from an assignment for Avon aboard a super yacht in the Caribbean. The client had requested a 6 language system to be used for a high level sales awards and dinner aboard the Sea Dream II yacht in St Thomas, USVI. Due to space considerations, the interpreters would be using their own staterooms as booths, all of which were located on a lower deck than the ballroom where the ceremony was to be held. To provide the best quality available, whilst removing any of the potential interference issues that could be created by operating any kind of FM system inside an all metal yacht, we specified and supplied a Bosch Integrus IR system. We utilized an optical fiber link to connect the ballroom deck with the stateroom deck resulting in an unobtrusive cable run to pass through the bulkhead doors and up the staircases. Video of the event was relayed to the interpreters using the yacht's onboard video system, the audio being handled as usual by the Bosch Next Generation CCU and consoles. 50 guests were able to enjoy seamless multilingual participation in their prestige event thanks to the faultless operation of the interpretation. A system that performed flawlessly as expected in an application where nothing could be left to chance, several hundred miles out at sea where replacements are not an option.